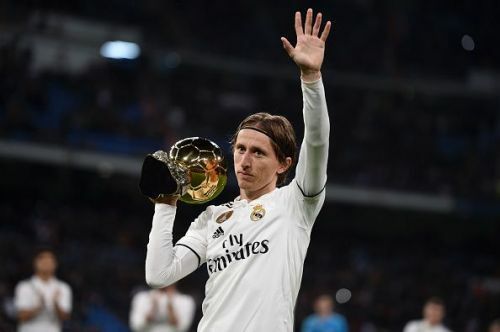 Ballon d'Or winner Luka Modric presented his award to the Bernebau faithful before kick-off. Karim Benzema's 13th-minute strike was enough to salvage all three points for Los Blancos, who at least temporarily, move into third, a point ahead of Sevilla, who are yet to play their fixture against Girona. Real still continue to be a long way away from being their sparkling best, but it was a step in the right direction for Solari's men, who now head into the Club World Cup on the back of a solid victory. Real got absolutely hammered by CSKA Moskva at the Bernebau during midweek, but they fielded a much-changed lineup to face the relegation contenders at the Bernebau. Luka Modric, Toni Kroos, Karim Benzema, Lucas Vasquez, Sergio Ramos, Dani Carvajal and Raphael Varane all started, as Real looked to exorcize their demons. Real started the game very brightly, and dominated possession in the first half, having 70% of the ball in the first 45. 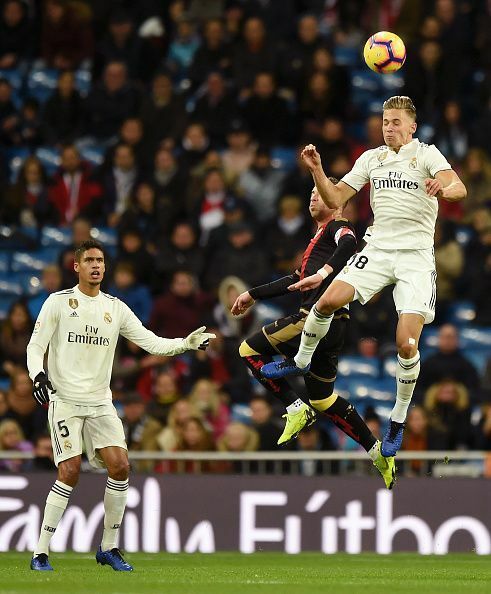 Toni Kroos, Lucas Vasquez and Karim Benzema were Real's best performers tonight, all 3 men putting in great shifts, reminding the Bernebau and the rest of the World of their abilities, although it was against the side currently languishing near the foot of the table. Real pushed on for a second goal after scoring the first, and looked certain to increase their total, but were unfortunate, striking the post through Toni Kroos near the half-hour mark. Marco Asensio also had a couple of efforts from inside the box saved, although it would've been more surprising if they would've gone in. Lucas Vasquez was denied a penalty, and VAR wasn't brought into play by any of the on-field referees, but the Spaniard was definitely shoved in the back by Alvaro Garcia in the box. Rayo almost scored an equalizer in the very last moments of the game but were denied by Thibaut Courtois twice in quick succession. The big Belgian certainly kept his side alive and was a major reason why the Blancos weren't shocked again with a late draw. It would've been another historic result for both teams if Rayo had taken anything away from this game, as they have never won points whenever they've faced the current European Champions. It wasn't a performance to write home about, but it chalked up 3 more points for Madrid on the board, keeping them in the title race despite the below-par season they've had so far. Here are the talking points from the game. Marcos started his 6th consecutive game for Real, growing into the side with each performance. Young Spaniard Marcos Llorente started again tonight, making this his 6th consecutive start in the middle of the park for the Blancos. He put in yet another solid shift for the Champions League holders, deputizing brilliantly for the injured Casemiro. He completed an astonishing 96% of his 75 passes, made 1 interception, 2 tackles, and recovered the ball 6 times for his side. The #14 will not be walking back into the starting eleven, and some fans (including me) would prefer to see Marcos retain his starting spot, given he offers more control than the technically lacking Brazilian, and has many superior attacking instincts, having an excellent eye for a pass.